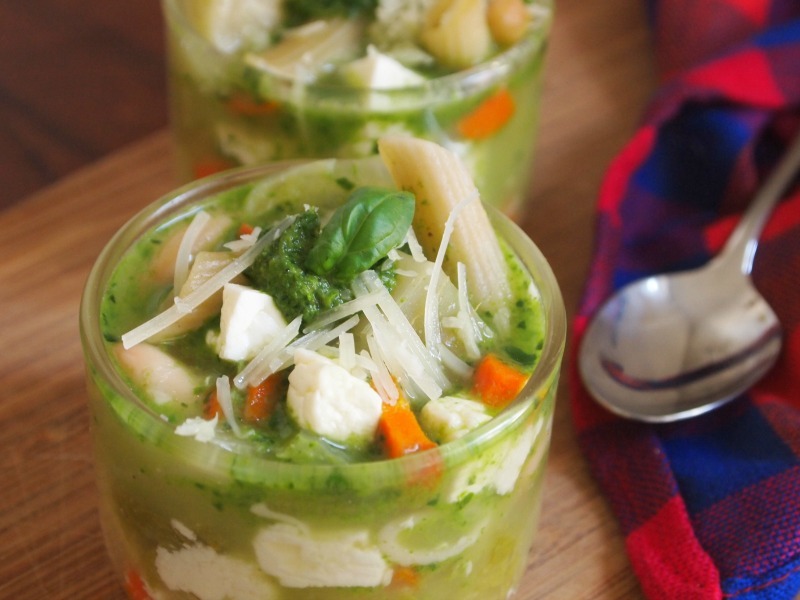 Menestrón is a Peruvian adaptation of the Italian classic soup, Minestrone. 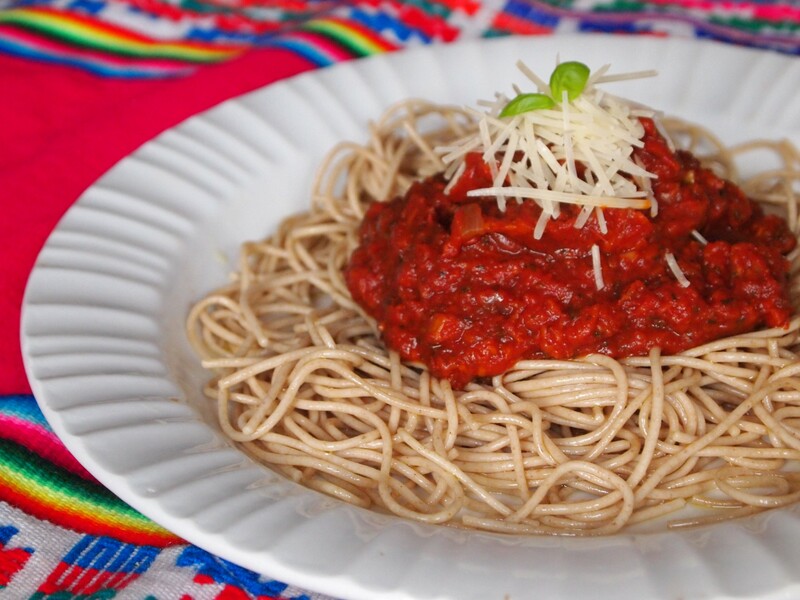 Italian food has been a huge influence in Peruvian gastronomy ever since the first Italians arrived in our country. 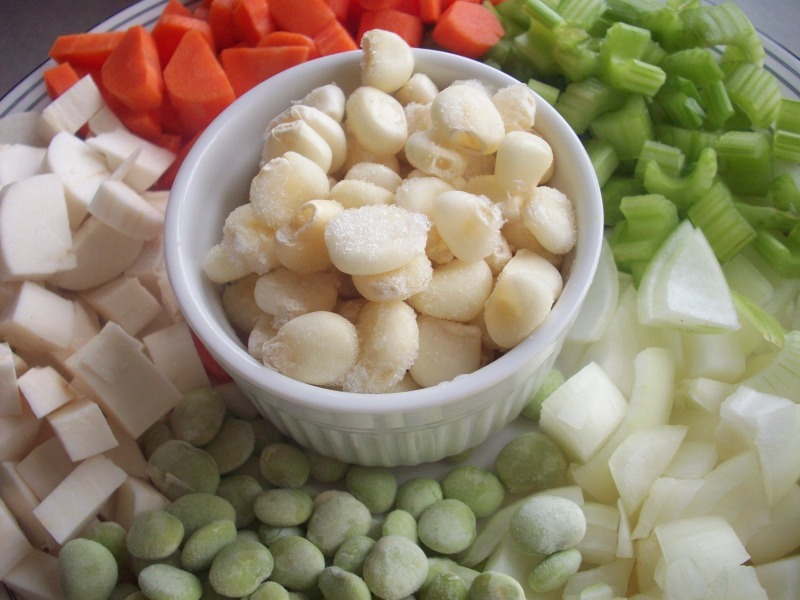 In the process of making it their own, Peruvians have changed the method and ingredients of the original Minestrone quite a bit, taking advantage of the bounty of fresh produce from our markets. This is why you can find yucca in the simmering pan, alongside potatoes and giant kernel corn. Sometimes, if it’s available, pumpkin is a welcome addition, as well as sweet potatoes, fava beans, and any other veggie. The one thing we don’t use, however, is tomatoes, as opposed to the tomatoey Italian Minestrone. Instead of the classic Parmesan cheese, we use queso fresco (fresh cheese), and instead of pesto, the traditional basil sauce, we use a salsa verde made with basil leaves, spinach, onion, and garlic. Regarding the pasta, you may choose to add penne or rigatoni, but some cooks love to add broken spaghetti to the pot. When the pasta is cooked, the soup is ready. Beef stock is usually used to make this sturdy meal, but we prefer a healthier vegetarian version. This is the way we always have it. The result is a heart-warming, nutritious, and very satisfying one-plate meal that everyone will love, especially in now that the temperature is going down. 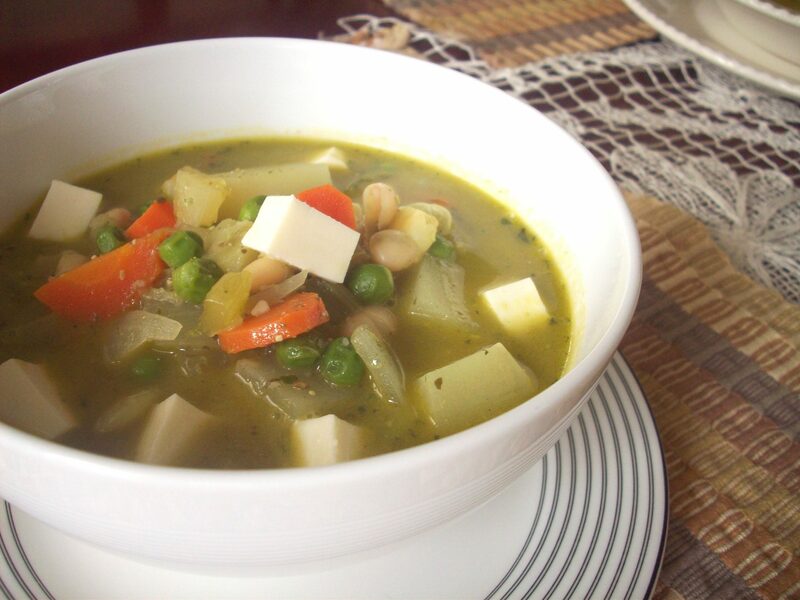 In a saucepan cook the vegetables with the water or stock until everything is very tender, (about 45 minutes). Season with salt and pepper. It must be very tasty. If you want to add some herbs while cooking, feel free to do so. Parsley, bay leaf, cilantro, are some flavorful additions. Add penne or rigatoni and cook a few minutes longer, about 12 minutes (or according to package instructions). To make the sauce, heat the oil in a pan over medium heat. Add onion and garlic, stir, and cook for 5 minutes. Add basil and spinach, season with salt and pepper. Process in the blender and pour into the soup. Cook for 5 minutes and serve immediately.